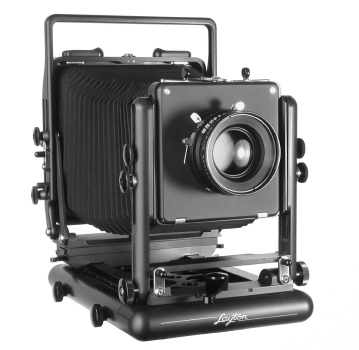 This is a continuation of the previous column about getting started in large format photography. Before you do anything in LF photography, you have to learn about it, and before you do that you have to listen. You have to listen to the long experienced LF photographers and listen to your mind and heart. Large format photography isn't a fad you do for awhile and decide it's done or you're tired of it. It's a lifetime experience and endeavor. And that's where you listen either through the writings, forums, and conversations with large format photographers. You have to listen to the ideas, work, experience and everything technical, and you have to listen to their hearts and minds, what drives them in the work, their images and continues to drive their passion. If you don't, it's all becomes dull, tedious and boring, and you'll quit before you start. I have other columns on cameras and equipment, and for now, your first experience with a 4x5 camera can be overwhelming. For one, they're large, cumbersome, and have lots of locks, dials and levers. Remember it's all mechnical in every direction. With these camerad it's all about what you know and do, nothing else is there. If you plan to get into this photography, you really do have to visit a shop with cameras and put one on a tripod to see for yourself. In my case, I decided to retire a few years earlier than planned, in December 2005, partly to start learning and working in large format photography. Initially my camera was due to be produced in the fall of 2005 where I could start over the 2005-06 winter, but the production has been delay a year. Everyone says I could have easily purchased another brand/model, and especially a "starter" camera, one of those Chinese one or a used one. I didn't as I had other things I could easily do and finish getting all the other stuff, as described in other columns. Why? Well, I listened to others and to myself. I decided I only wanted one LF camera and waiting wouldn't be so hard in the long run. Sometimes adventures have false starts before it really begins.